I was pretty worn out after spending a day at Ancol Dreamland. But the following day was the start of an unexpected shopping spree at FX mall. To our delightful surprise, these colored huge sale banners on the shop front door caught our eye, which prodded us to find out more about The Sports Warehouse. 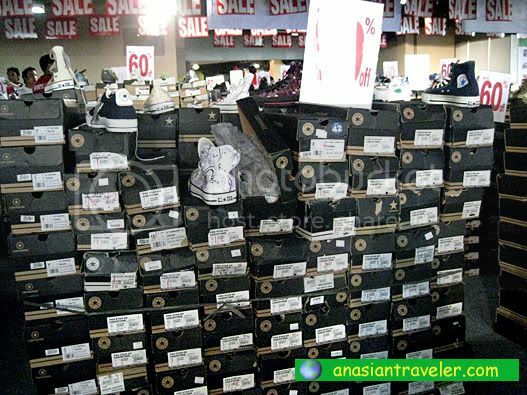 You could just imagine our faces when we saw an assortment of discounted designer labeled sneakers that comes in different models and styles. They also carry apparels, bags and some sports equipment. Whoa! 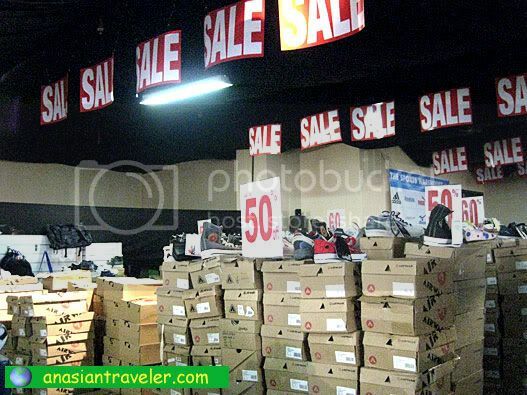 All of the products were reduced up to 50-70% off which made them difficult to resist. Who won't be thrilled if you can buy goods for a fraction of the original prices? Strangely enough, even hb the most frugal man I've ever met (^o^) and being known for being half-hearted shopper was fascinated and excited over their sports shoes. We had a frantic happy shopping for more than an hour. The courteous staffs were very helpful as we perused the store, which made us feel welcome and comfortable. We got high top Converse, Puma, Reebok, Diadora and Mizuno. I had some favorite designs but I was a bit sad to discover they didn't come in my size. Soon we came out of the store with big smile on our faces and multiple plastic bags hanging from our hands. I must say, that was one hell of a shopping spree. 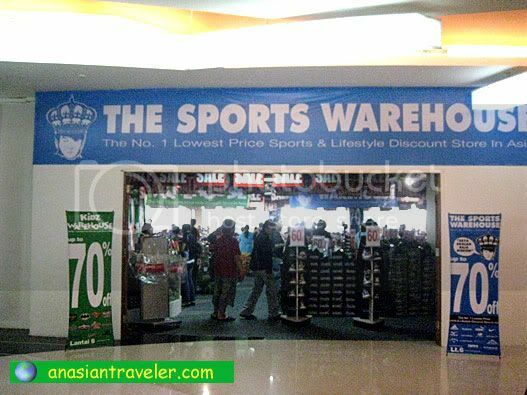 Without a doubt, The Sports Warehouse is a "shop 'til you drop" spot in Jakarta, Indonesia. I'm sure your hubby us was the happiest even if he'd carry everything that you have shopped. Good deal for such good brands! Swerte nyo naman! 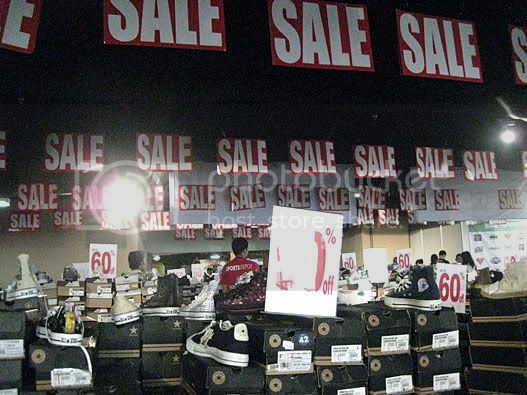 Really shop till u drop :D but it is a one time event due to they going to move / close or it will be a periodic event? I’m not really sure about this, but I do think The Sports Warehouse is a specially arranged discount store giving shoppers sale bargains all year round. Wooohooo! I liked your choices of shoes. How's the price like? How much? in Rupiah I mean.. The shoes that we purchased ranges from IDR 100,000 to 300,000. This warehouse has great bargains!